Killa Cam needs little introduction. By far the most consistent and successful Child Of The Corn (Ma$e being a close second), the de facto leader of New York City’s Diplomats (AKA Dipset) collective has a sense of humor and flair like no other. 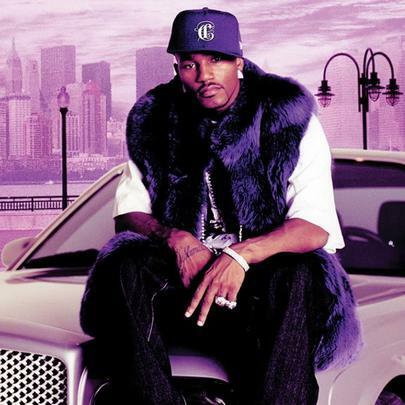 Throughout his prolific 20-year career, Cam’ron has released sevens studio albums and collaborated with the likes of Big L, Vado, AraabMuzik, Jay Z, R. Kelly, Noreaga, Big Pun, Jermaine Dupri, The LOX, Cassidy, Fat Joe, Wyclef Jean, DMX, Kanye West, Beanie Siegel, Max B, Gucci Mane, Fabolous, Busta Rhymes, T.I., Ghostface Killah and many more, not to mention his Diplomats crew (Jim Jones, Juelz Santana, Freekey Zeeky, J.R. Writer, Hell Rell and 40 Cal). Most recently, he released a new mixtape titled Ghetto Heaven Vol. 1, responded to Jay Z’s mention of him on Drake’s “Pound Cake” (“Come And Talk To Me”) and had a bit of a falling out with West Coast apparel line DOPE. Also, he’s currently working on a joint EP with A-Trak, to be released via Fools’ Gold Records. Stay tuned. Cam attended the Manhattan Center For Science and Mathematics, where he met Ma$e and Jim Jones. As a youth, he aspired to play in the NBA. Throughout his career, he's beefed with Jay Z, 50 Cent, Jim Jones, Juelz Santana and Kanye West. Cam'ron was shot in an attempted Lamborghini jacking outside Howard University in October 2005. He dabbles in acting and directing, having appeared in Damon Dash's Paid In Full as well as his own film Killa Season, which accompanied his 2006 album of the same name. Cam'ron Claps Back At Mase: "Let's Play N*gga"